Basically the Best special yet! 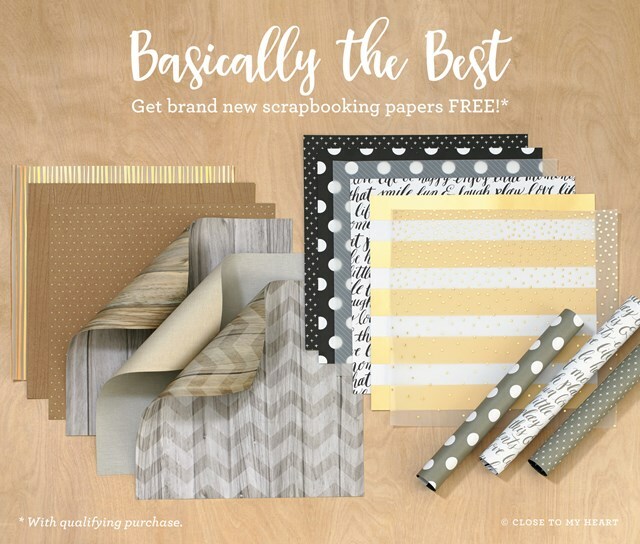 What could be better than treating yourself to brand new scrapbooking paper? How about getting even MORE paper for free! During the month of August, when you order our Whimsy, Adventure, and Enchantment Fundamentals papers, you can choose to get either the Rustic Home or Uptown Fundamentals for FREE! Both of these Basics packs feature foil designs and specialty materials for making your artwork unique. Yep, this deal is basically the best! Each package contains 2 sheets each of the patterns show above – with different patterns on the front and back of each – for a total of 24 pages in each package – for only $19.95 each. Each of these paper packs also has a coordinating complements set with titles, icons, and fun shapes to embellish your projects AND coordinating ribbon for each combination as well! SO much creative goodness to choose from!!! Here’s where it gets difficult – once you add all three of the Whimsy, Adventure and Enchantment paper packs to your cart, you will have to CHOOSE which FREE Basic paper to add to your cart! You can choose either the Rustic Home or Uptown Fundamentals for FREE! Actually, it’s not that difficult to choose! Pick one for FREE and add the others to your cart or wish list for your next purchase! Previous A Purr-fect Stamp of the Month!